After building 4-5 guitars I decided to take the time to rebuild a few of my jigs. Just wanted to share this flattening jig. The rails are stacked mdf held down by bolts so I can change the rail height. Everything is based on 1/2 inch conduit and 1/4-20 bolts. I used tee nuts for a grid of hold down points. 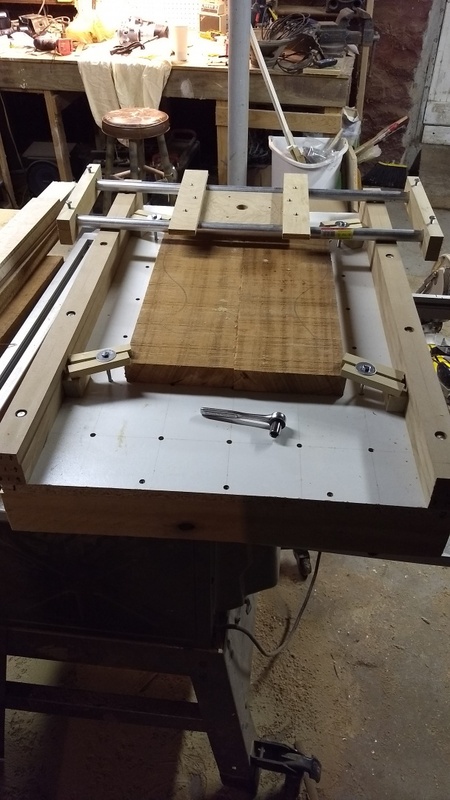 I'll also be mounting radiused guides on the short end so it will double as a fretboard radius jig (which was the whole original motivation). That's nice Mike. I love the idea of a dual purpose for that sled.